Earth Fare, the healthy supermarket, is coming to Hamilton Town Center and will be located near the main entrance at the former Borders store site. It will occupy 23,200 square feet and is the first Earth Fare store in the state of Indiana. Construction must be done on the old Borders to turn it into a grocery, but Earth Fare is expected to open later this year. “We are excited for Earth Fare to open at Hamilton Town Center. They will be a great addition to our merchandise mix,” said Sundesh Shah, Regional Vice President at Simon. Founded in Asheville, N.C., 35 years ago, Earth Fare’s mission is to feed and inspire the healthy person inside you by making healthy eating accessible and affordable. • high fructose corn syrup. • hydrogenated or partially hydrogenated oils. • artificial colors, preservatives, flavorings or sweeteners. • antibiotics, synthetic growth hormones or animal by-products in feed. • bleached or bromated flour. The Hamilton Town Center Earth Fare will provide a wide variety of fresh all-natural and organic fruits and vegetables, antibiotic- and hormone-free meat, poultry, as well as sustainably caught seafood. The store will also carry more than 250 varieties of artisan and farmstead cheeses from around the world, as well as a vast selection of organic and international wines and beers. 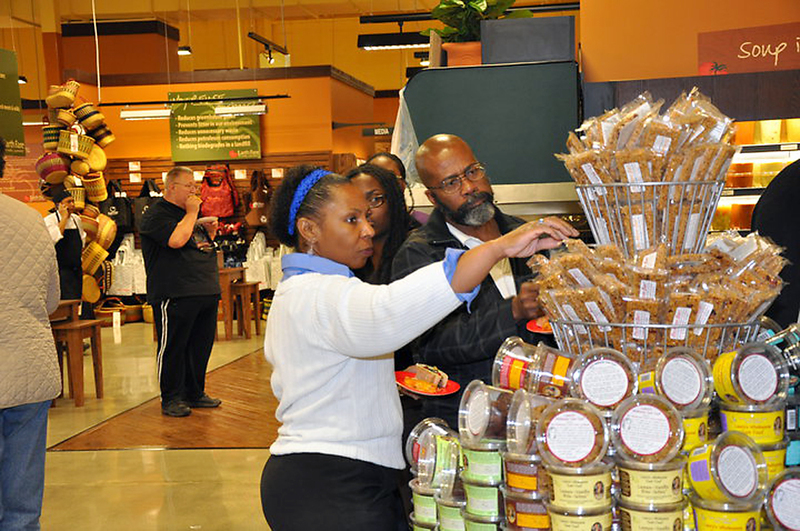 Earth Fare customers who want an in-store dining experience at the Hamilton Town Center will have plenty from which to choose. Offerings will include: fresh sushi, hand-made pizza, salad bar, soup bar, hot bar, Mediterranean bar, and scratch bakery.